If you’re like me and you’ve suffered from insomnia at one point in your life, then you know how helpful melatonin can be in restoring a proper circadian (sleep & wake) rhythm. Even more so, this hormone provides several other health benefits and is crucial for maintaining a strong immune system. Some claim that it’s completely safe, but is that really the case? 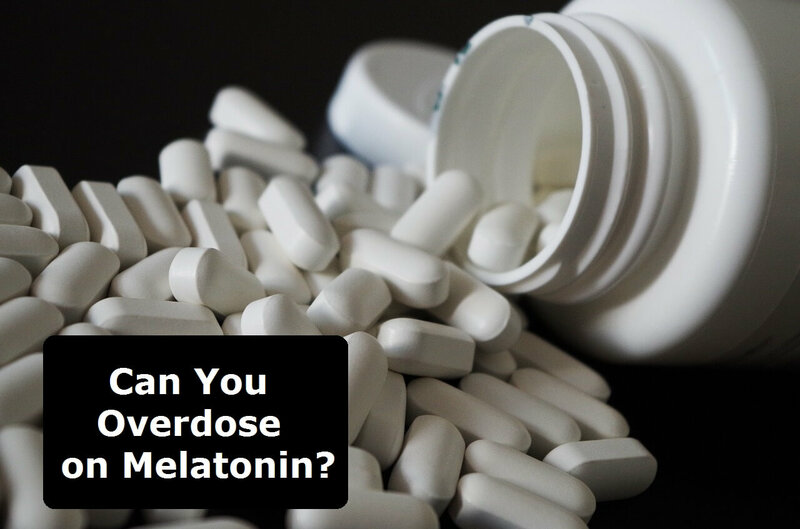 If you want to get to the bottom of this question and learn how you can overdose on melatonin, read on. How Much Melatonin is Safe? How Can You Boost Your Melatonin Development? As we age, the amount of melatonin that our body produces decreases. And after we hit our thirties, the insufficient quantity of this type of hormones leads to sleep disorders and insomnia. As a result of poor sleep, our immune system is weakened, and we become prone to suffering from fatigue and stress. That’s why most professional doctors recommend getting melatonin through other means. The most popular option among common people is to buy pills or other types of medication that contains this hormone. Synthetically-created melatonin can improve your sleep rhythm, strengthen your immune system, lower the cholesterol level, and slow down the aging of your organism. Even though melatonin isn’t a sedative, this medication shares a lot of the same properties with sleeping pills, as it allows you to fall asleep easier and decreases the number of times you wake up in the night. If that’s the case, it’s recommended that you consult your doctor beforehand so that he would tell you your individual dosage. Despite a large number of studies, the effects of taking synthetic melatonin still aren’t fully known. That’s why this medication is banned in numerous counties. Another question that is commonly asked by people is whether taking melatonin can become addictive. Thankfully, the scientific consensus is that these pills don’t cause an addiction and don’t affect your body’s ability to produce its own hormones. It has been proved that if you use melatonin in reasonable amounts and only when there’s a serious need for it, the chances of any side effects appearing are very slim. One of the biggest problems of using melatonin is that there’s no commonly accepted dosage. And while that’s the case with a lot of medications that factor in the individual characteristics of a person, melatonin takes it to a different level. According to available research, the common prescription for an adult is to take 0.3 to 10 mg of melatonin about forty minutes prior to going to bed. The maximum safe dose is 20 mg of melatonin per day. However, doctors can prescribe an even bigger amount, depending on the purpose of why you’re taking this hormone. 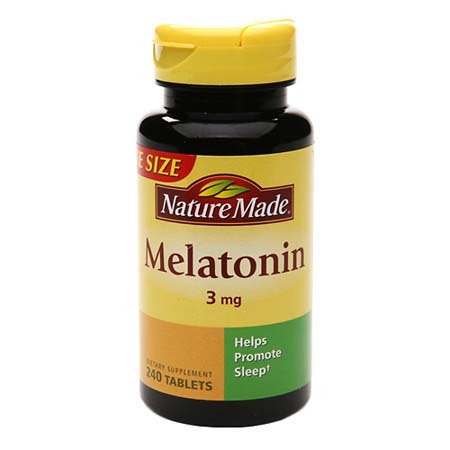 It’s also important to note that some people use thirty or even more milligrams of melatonin per day and don’t suffer any serious consequences. Such quantities are mostly used by people that only have slight issues with their circadian rhythm, and are looking to improve the quality of their sleep schedule. This is the prevailing melatonin dosage for adults, and it is usually prescribed to patients that deal with moderate sleep disorders. The typical length of such a course is around nine weeks. This amount of melatonin is only prescribed in serious situations when someone is suffering from severe insomnia and stress. Such a dose is also used when the hormone is paired with therapies that are designed to treat serious illnesses such as tumors. Such a large dose is never recommended for people who just have insomnia. Thirty milligrams of melatonin are only prescribed for patients that are battling cancer as a way to treat cell formation. 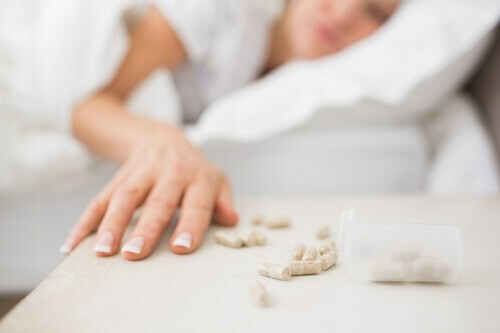 Due to the misconception that melatonin isn’t harmful no matter how much you use, some people are known to take from fifty and up to a hundred milligrams of the hormone. However, this much melatonin is too much and shouldn’t be prescribed to anyone. Whatever your reasoning, such quantities will only damage your health, without increasing the positive effects of melatonin. A number of studies suggest that even if you aren’t suffering from insomnia but are over thirty-five years old, you can benefit from taking small doses of melatonin. The recommended course is to use 0.5-1.5 mg during the summer and autumn seasons before going to sleep, preferably three times per week. Doctors also advise using this medication before a flight to a different time zone. One pill before the day of the flight and one pill for three days afterward should help you with deal with jet lag, and allow you to better adapt to your new surroundings. While you can use the information above as a reference chart, the only real way to know the exact safe dose for you is to consult a doctor. Only a professional can know how your body will react to a specific amount of melatonin. Obviously, the main ingredient here is melatonin. And the concentration is very strong too (10 mg), which means one capsule a day (a night, to be exact) will work for chronic insomnia and severe stress. Some other ingredients include gelatin, vegetable cellulose, silica, and vegetable magnesium stearate. They do not contain any sugar or sweeteners. This supplement comes in a set of 2 bottles, which is a really good value for money. However, if you want to just test them out, you can order a single bottle too. Each bottle contains 120 capsules. Naturally, they will last you for a long time. Typically, a capsule kicks in within the first 20 minutes. It may take a bit longer if you had a really stressful day or aren’t feeling quite well. The capsules are rather small, so you probably will not experience any issues when swallowing them. Of course, take them with water. This sleep remedy comes in different packs, from single to five. 3 mg is a medium dosage, so this medicine is suited for people, who don’t have really severe sleep issues. It comes in a form of tablets, which are small and easy to swallow. They don’t contain any artificial flavors, preservatives, color, or yeast. They are also gluten-free and vegan. The only other ingredients (besides melatonin) are Sodium Starch Glycolate and Magnesium Stearate, both natural and safe. These tablets have a mild sedative effect. You should take 1 tablet an hour before sleep. Of course, it’s better to take the medicine with water. This Nature Made sleep supplement is USP certified. USP is an independent organization that tests the purity and quality of various products in order to protect the consumers. 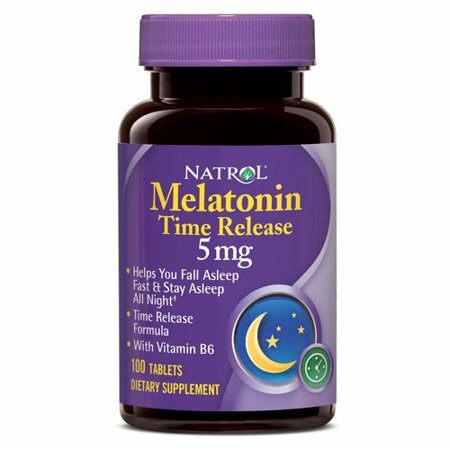 Natrol offers melatonin tablets with different strength levels, including 1mg, 3mg, 5mg, and 10 mg. The pills are chewable and very easy to swallow. You don’t even require water. They come in two different flavors: strawberry and citrus. Because the tablets are chewable, they dissolve quite fast and, consequently, start acting faster as well. The main ingredient is melatonin. 5 mg is a dosage, which is ideal for occasional use or people who don’t have very serious sleep conditions. This dosage is also suited for those who are stressed out and take too much time to fall asleep. There are some supplementary components as well, including Dextrose, Microcrystalline Cellulose, Crospovidone, Cellulose Gum, Maltodextrin, Sucrose Esters of Fatty Acids, Glyceryl Behenate, Gum Arabic, Beet Root Extract, Silicon Dioxide, Artificial Flavor, Sucralose, and Menthol. Now it’s time to answer the question of whether it’s possible to overdose on melatonin. In short – yes, you can. As mentioned above, there is no standard dosage for this hormone, so people tend to take as many pills as they please, which leads to serious health issues. There are numerous cases documented of people getting a melatonin overdose after taking 24 to 30 mg per day. The most common symptoms of OD are disorientation, abnormally long sleep times, and short-term memory loss. 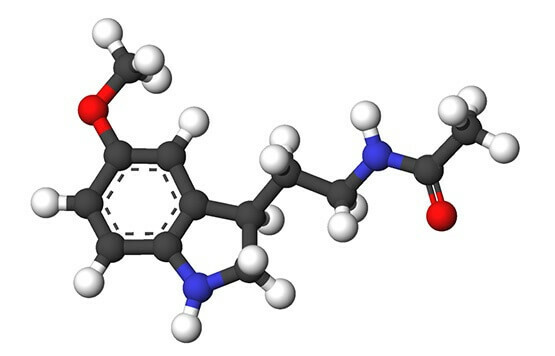 The most common reason behind melatonin overdoses is that the people taking the hormones want to strengthen the sedative effect of this medication. What they don’t realize, is that melatonin doesn’t always have an immediate impact and isn’t supposed to act like a sleeping pill. Its primary purpose is to normalize the biological rhythms of a person and slowly maintain a healthy sleep-wake cycle. Taking melatonin in heavy doses won’t improve your sleep but will only cause severe intoxication. As it is the case with most medications, they have a lethal dose. In theory, it means that if you take too many pills, you’ll die of exposure. However, melatonin has proven to be safe in this regard, as people don’t risk dying even if the dose they use is ten times bigger than the recommended amount. That doesn’t mean that you should use as much medication as you like. Not only can you OD on melatonin, but it can lead to the development of long-term health issues as well. deep sleep that in the worst case scenario can take the form of a coma. If you’ve noticed any of the symptoms listed above, the first thing you need to do is to call an ambulance. Until medics arrive, try to get as much melatonin out of your system as possible. To clear your stomach in domestic conditions, I recommend drinking a couple of glasses of water and forcing a gag reflex. However, this is only possible if the person that is suffering from melatonin overdose isn’t sleeping and didn’t lose consciousness. After the stomach has been cleared, you’re advised to take some sorbents and drink some sweet tea or water afterward. Upon arrival, doctors will examine the state of the victim and will secure hospitalization if necessary. Melatonin overdose treatment is aimed at removing any trace of these pills from the body and regulating the heartbeat rate and blood pressure level. people that suffer from a rare hypersensitivity towards melatonin. As stated at the beginning of the article, the primary purpose of melatonin is to regulate the circadian rhythm of your organism. Thanks to this hormone, you can sleep soundly all through the night and feel well-rested in the morning. The health benefits that you reap from using melatonin aren’t limited only to helping you sleep. It improves the work of your endocrine system, slows aging processes, and allows you to better adapt to different time zones. Melatonin is also one of the most potent antioxidants available to humankind as it boosts the defensive functions of your immune system. This hormone plays an indirect role in allowing your brain to function more efficiently. It’s important to note that melatonin doesn’t stack in your organism. Thus, it’s impossible to accumulate energy for a couple of days in advance by resting longer on the weekends. That’s why it’s crucial to maintain a healthy sleeping schedule and watch over your nutrition. If you’ve noticed any of these side effects, you should stop using melatonin at once. Usually, they will disappear within a day or two after you’ve ceased taking the hormone. After that, you should schedule an appointment with your doctor to find out if you have to change how much melatonin you take or quit using it completely. Just like sedative medications, melatonin strengthens the effect of beta-blockers and pills that affect the central nervous system. This hormone is also incompatible with alcohol, as combining the two may result in breathing troubles at night. Using melatonin medication isn’t the only way to increase the amount of sleep hormones in your body. They do develop naturally in your organism. Besides, some constituents of such foods as bananas, cherries, or pineapples can convert to melatonin or boost its production, thus promoting a healthy sleep cycle. Try to go to sleep before midnight. If you have to stay up late, strive to work in dim lighting. Make sure that the time you allocate for sleeping is enough to renew your energy. Prior to going to bed, turn off all light sources and close the curtains. If it’s impossible to do so, use a blindfold instead. Try to spend a couple of hours outdoors each day. Avoid getting into stressful situations before sleeping. Make sure your bedroom gets a constant supply of fresh air. Eat food that contains melatonin (this includes corn, bananas, tomatoes, rice, cherries, carrots, ginger, etc.). About 70% percent of your body’s melatonin is produced during the night, that’s why there’s a direct correlation between your circadian rhythm and hormone creation: the more sleep you get, the more melatonin you’ll have, and the more melatonin you produce, the higher the quality of your sleep is. The most productive period is between midnight and four o’clock. Logically, it’s crucial to sleep in a dark room during these hours to get the most out of it. Label. If it says “pharmacy grade” (not animal, natural, or bovine), then it’s the most powerful and effective kind. Also, give your preference to supplements that have at least 99% pure melatonin. Active ingredients. 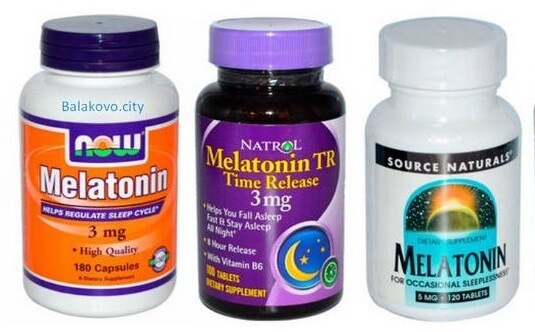 Ideally, melatonin has to be the only active ingredient combined with a couple of supplementary ones. If your pills contain other active ingredients (like vitamins, for instance), this can cause health complications. Brand. Obviously, buying from a reputable company is the safest option. Third-party certifications. When the supplement is tested by independent organizations (like USP, for example), you can be sure that it’s safe. Your condition. Think about why you need melatonin? Is it jet lag? Occasional insomnia? Issues with staying asleep? Then melatonin would be a good solution for you. However, if you suffer from chronic insomnia, constant fatigue, exhaustion, or experience some other serious issues, you might have a health condition. In this case, it’s better to see a doctor first before trying to self-medicate using melatonin. How often do you take melatonin before bed? How effective is it at dealing with your sleep issues? Share your thoughts in the comments! Melatonin medication is used for better sleeping as well as strengthening the immune system. Without a sufficient amount of this hormone, people tend to suffer from insomnia and other types of sleep disorders. The recommended melatonin dosage for adults is to take 5-10 mg per day for slight to moderate cases of sleep disorders. This medication is mostly prescribed to people over thirty-five years old, as younger individuals can rely on their own organism to produce the hormone. 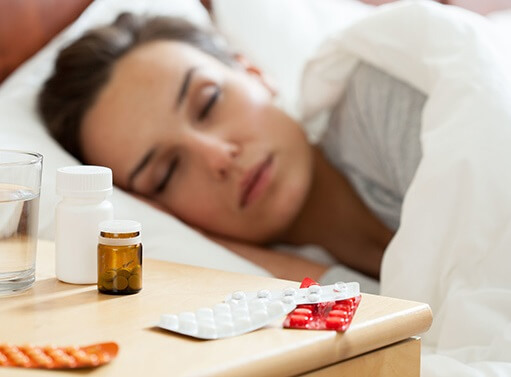 Even though the odds of developing side effects from using melatonin are minuscule, you can further decrease the risks by consulting with a doctor prior to buying a melatonin supplement. If you take a look at the benefits and drawbacks of using sleep hormones, it’s quite obvious that the former outweigh the latter by a mile. And even though it’s possible for you to OD on melatonin, following a few straightforward recommendations will save you from any trouble down the road. So, have a good sleep and stay healthy!